The portions of this article that are in italics first appeared in the Roselle History Museum Newsletter in Spring 2012. They are reprinted today, courtesy of the Museum. The airport as we know it today had its beginnings in 1959 in an unincorporated area of Cook and DuPage counties, between the villages of Roselle and Schaumburg. [Leonard Boeske, owner of Boeske Real Estate of Villa Park, developed the field.] Although the airport was not (and never has been) officially part of the village of Roselle, it was originally called Roselle Airport, probably because it was closer to Roselle than Schaumburg. 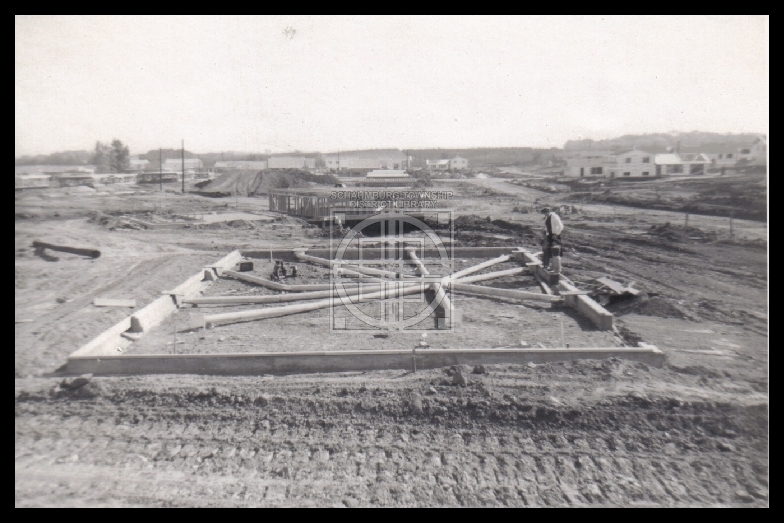 [During its early days it was referred to as Roselle Field and Roselle Air Park.] In June of 1961, the owner of the airport approached the Roselle Village Board about the possibility of annexing the airport into the Village. Talks continued for eighteen months, and in January of 1963, the Roselle Planning Commission recommended to the Village Board that the airport be annexed into the Village. For reasons that are not documented, the proposal of airport annexation was never voted on by the Village Board. 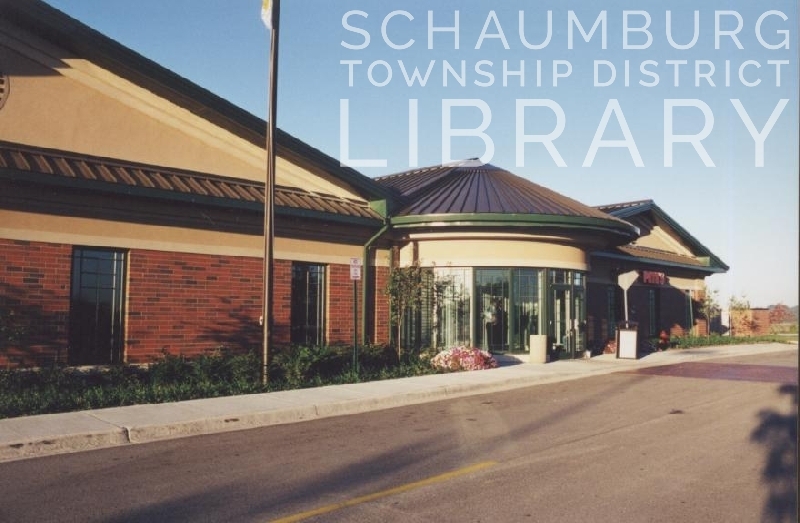 In 1963, [after an October 19 referendum for Schaumburg residents] the airport was annexed to the Village of Schaumburg. In the early 1970s, the airport’s name was changed from Roselle Airport to Schaumburg Airpark, which fueled speculation by some Roselle residents that Roselle “gave away” the airport. 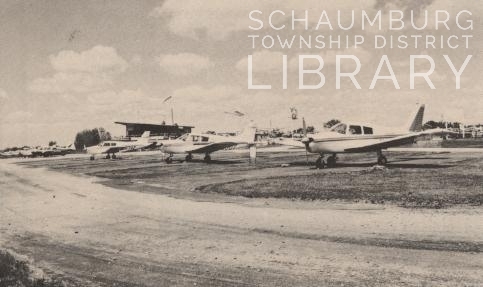 Today, the airport’s official name is Schaumburg Regional Airport. The airport continued to be privately operated until 1994, when the Village of Schaumburg purchased it in order to prevent it from being sold to developers. The Schaumburg Village Board and Schaumburg Park District purchased the airport for $14 million and paid for $8 million of improvements. The biggest improvement was replacing the 30-year-old 3,000 foot by 40 foot asphalt runway with a 3,800 foot by 100 foot concrete runway. The new runway also had a parallel taxiway and concrete tie-down areas for parking. The following are additional facts about the airport found in the Daily Herald and the Village of Schaumburg’s website. The first plane, piloted by Dan Smith, an Illinois aviation safety inspector, landed at the airport on May 25, 1961 while the field was still being developed. To honor its original name of Roselle Field, 400 yellow rose bushes with flowering crab bushes in between, were planted in 1961 on both sides of the drive leading into the airport. The original airport had an administration building and two hangars that could each accomodate 10 planes. Skyview Chicken House was an early restaurant at the airport. In the late 1970s, the airport was owned by Chicago hotelier Jack Pritzker, developer William Lambert and the Bennett and Kahnweiler real estate firm. The group also owned the nearby Centex Industrial Park. Gene Bouska was a long time manager of the airport in the 1980s and 1990s. He had both a watch horse named Amy to patrol the grounds and a mascot dog named Runway who was found half frozen to death on the runway. Mr. Bouska died in a plane crash at the airport on April 16, 1995, the day the airport closed for renovation after the village’s purchase. He was commemorated at the reopening ceremonies later that year. Before the village purchased the airport, the grounds of the airport were labeled the Schaumburg Air Park. 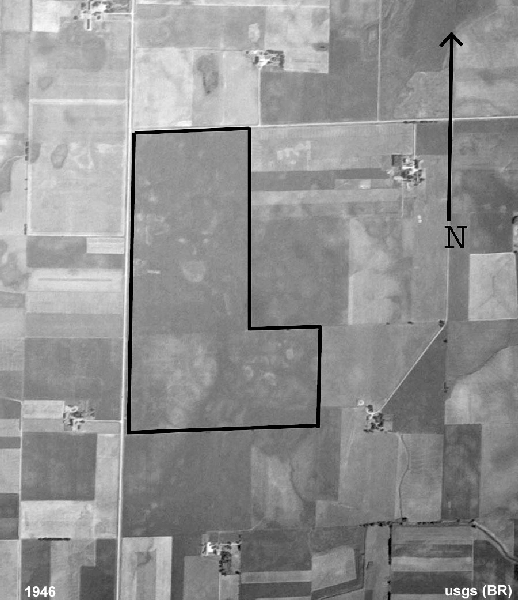 It was one of three privately-owned, public airstrips in Cook, Lake and DuPage counties. In 1998, after purchase by the village, a 26,000 square foot terminal building was completed, including space for a restaurant, public meeting rooms and units for individual businesses to operate. Pilot Pete’s also opened in 1998 and continues operations today. More details about the airport can be found on the village’s website and on the Wikipedia article on the airport. If you have more to contribute or have taken a ride out of the airport, please chime in. It would be great to have your impressions! Our guest contributor this week is Pat Barch, the Hoffman Estates Historian. This column originally appeared in the January 2015 issue of the Hoffman Estates Citizen, the village’s newsletter. The column appears here, courtesy of the Village of Hoffman Estates. It’s been more than 50 years since that terrible plane crash occurred on March 8, 1964. The plane crashed into the Golubski home, 112 Arlington St., just before midnight. The chartered DC-3 two engine plane was returning from a skiing trip to the Boyne mountain area, Pellston, Michigan when the plane came down in the residential area of Hoffman Estates. It was trying to land at O’Hare airport. There were 28 skiers, members of the Snow Drifters Club of Aurora, and a crew of two on the plane when it crashed into the Golubski house. It took two hours before the fire department could reach the pilot and co-pilot and free them from the cockpit that was buried in the garage of the home. Unfortunately, the co-pilot died in the crash. The passengers were able to quickly leave the plane with just cuts and bruises. Ambulances were sent from Chicago to help take the injured passengers to Northwest Community Hospital for treatment. There have been many stories about how the plane crashed. One story tells of how the pilot mistook the lights on the street as the O’Hara runway. I’ve heard this story many times. But the pilot is never quoted as saying this. Since there were no lights along the highways or on the streets of Hoffman Estates at that time, I never understood how street lights could confuse the pilot. Ken Rogner, who had the Shell gas station on the corner of Roselle and Higgins told me he was one of the first to arrive at the crash scene. Because he had a thin build, he was asked to try and work his way into the cockpit to rescue the crew. Many of the neighbors also came to offer help but where warned to stay back because of the threat of fire. Miraculously the five members of the Golubski family were unharmed but in shock at how close they came to serious injury or even death due to the plane crash that seriously damaged their home. Airplane photo compliments of the Village of Hoffman Estates’ website. During WWII it was a fairly common sight to see Stearman bi-planes buzzing the skies of Schaumburg Township. Flying out of the Great Lakes Naval Training Station, these training planes practiced touch and go landings at an airstrip in the photo above. This strip was directly on the SE corner of the intersection of Schaumburg and Barrington Roads. The planes flying overhead were a wonderful source of distraction during the war years. Several of the oral historians whose histories are on the Local History Digital Archive remarked how they madly waved to the pilots and, quite often, the pilots would wave back by tipping their wings. Mr. Engelking called them his buddies! There were a couple memorable incidents that the historians remembered though. The Gerschefske girls spoke of the pilot who tried to go under the wires along Roselle Road, caught a wing and tipped over. One of their friends took a picture but the Navy didn’t approve and took her camera away from her. Mr. Leonhardt recalled how one winter a plane ran out of fuel and was forced to land rather abruptly on the Fred Springinsguth farm. As a result the motor and propeller were damaged. The incident happened around 12:00 noon and the pilot walked to their farm to contact his base. They did not arrive to pick him up until 6:00. The next day the engine and propeller were replaced on the spot and the plane was towed to Schaumburg Road. Without further ado, the pilot used Schaumburg Road as its runway and took off going west. As was remarked on the video, there wasn’t much traffic to worry about then! During this time, the property was part of the Gertrude McNaught farm that was called Rolling Acres. It was purchsed from William Schuneman in 1937 by Gertrude and her husband Norris, who was the co-founder of Duro Metal Products in 1916. Mr. McNaught died in 1942 and his widow later married his business partner, William Odlum. It became known as the Odlum property and was eventually sold for development in 1986. Many thanks to one of the blog’s consistent readers for passing on the photo and providing incentive for an interesting posting.